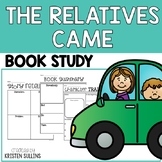 This resource was created at a literacy companion for "The Relatives Came" by Cynthia Ryland.Included in this resource are (2) sequencing activities. Picture Sequencing – I created this for my non-readers/struggling readers. As I/we read the story aloud they glue the pictures on the picture strip. 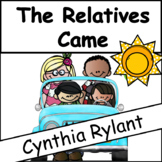 Here's a packet to supplement your teaching of Cynthia Rylant's book The Relatives Came. Packet includes vocabulary and writing activities. 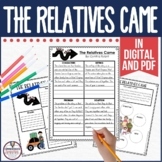 The Relatives Came Language Arts Unit ~ poetry, idioms, grammar, writing! Includes two sets of questions on sticky notes for multiple readings of the book, The Relatives Came.